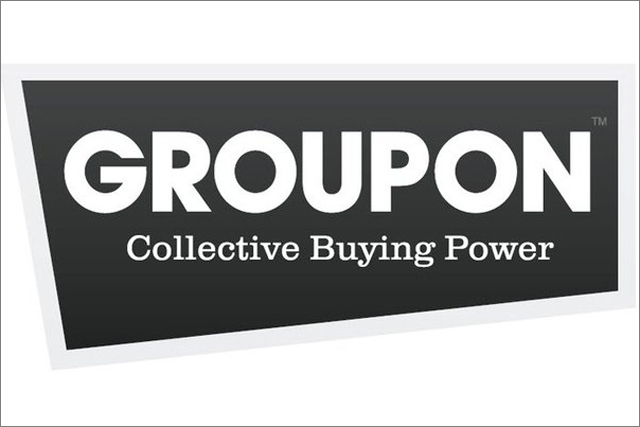 Groupon has reported quarterly results below analysts' expectations, which it attributed to "continued challenges" for the business in Europe. Groupon’s share price to plummeted by 17% in after hours trading to reach a record low of $3.23, down sharply from its initial public offering price of $28 when it listed in November last year. The four year old daily deals site's revenue for the quarter ended 30 September was up 32% year-on-year to $568.6m (£356.5m), compared with $430.2m for the same period a year ago. Andrew Mason, chief executive of the four-year old business, said it was experiencing "continued challenges" in Europe, which offset its growth in North America. It does not break out revenue for Europe, but international revenue, grew 3% to $277m for the quarter. By comparison North American revenue surged 80% to $292 million. It narrowed its net loss to $3m, compared with a $54m loss the same quarter last year, as it cut its marketing costs by 58% to $70.9m. The results showed that it has grown its customer base by 36.7% year on year, reaching 39.5 million. Previously, Groupon has flagged the debt crisis in Europe as a challenge to the business, making it harder for it to sell high-ticket deals in the region, such as laser hair removal. The results suggest that consumers’ appetite for daily deals could be waning, particularly as the market becomes more crowded.